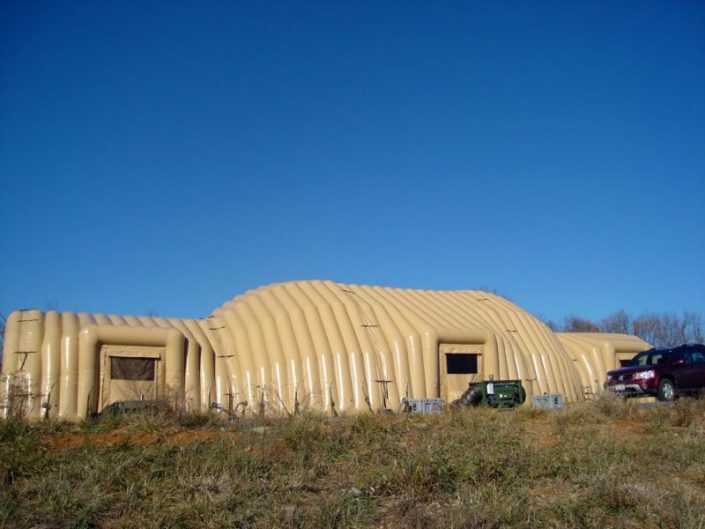 Air cell shelters are perfect storage and cover facilities where there is the need for rapid deployment. 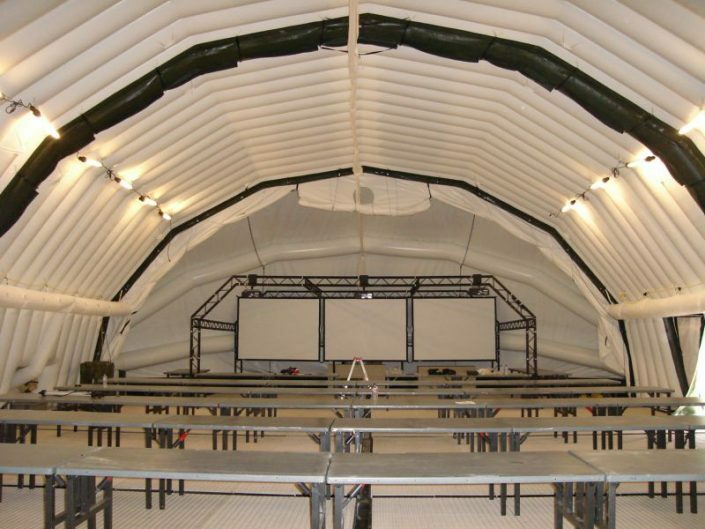 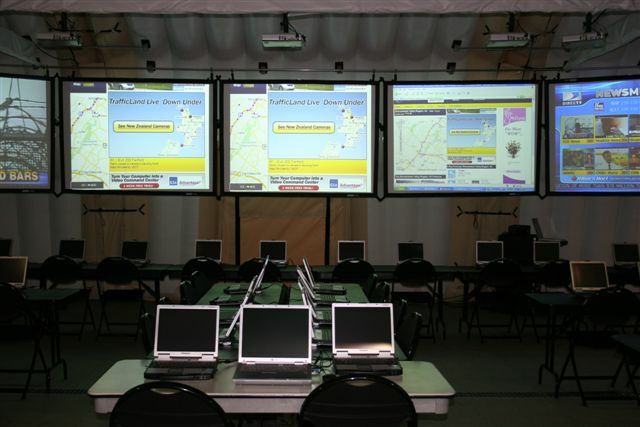 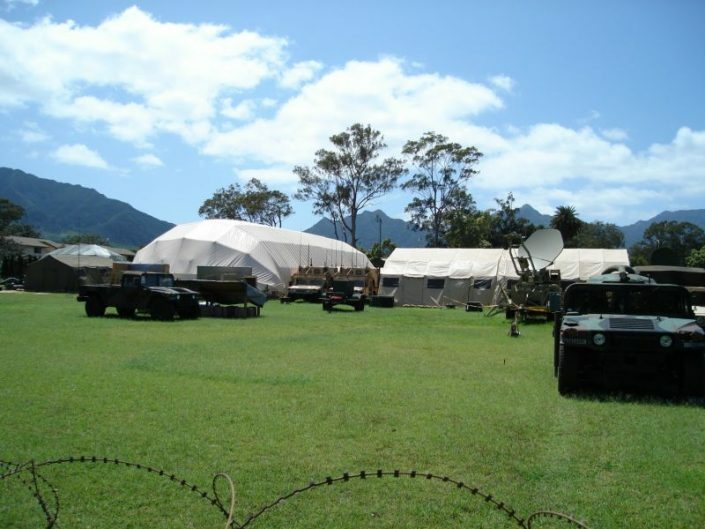 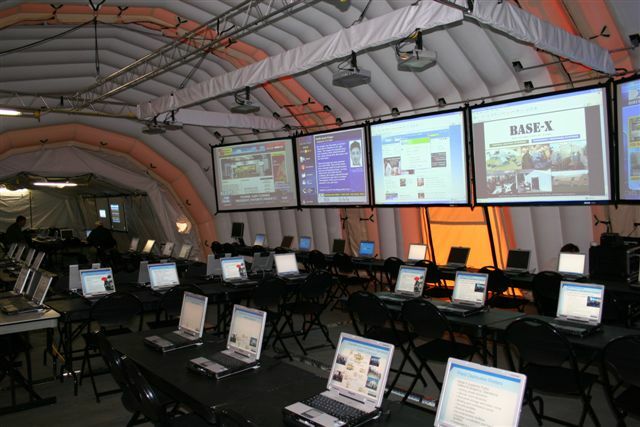 The shelters can be used for command posts and briefing centres, military hospitals, and transport and support equipment storage. The double skin design provides natural insulation and simplifies temperature control, meaning the shelters can be used in locations of heat extremes, such as Death Valley, the Middle East and polar regions. 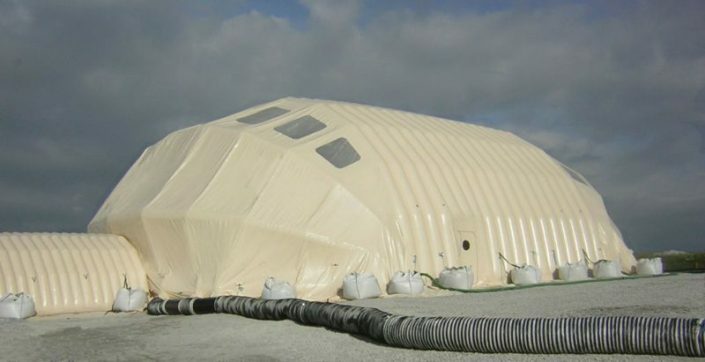 Many shelters are supplied in desert tan exterior and white interior, and there is the option of a Mylar coating which provides a highly reflective surface, and is suitable for tropical or desert locations. 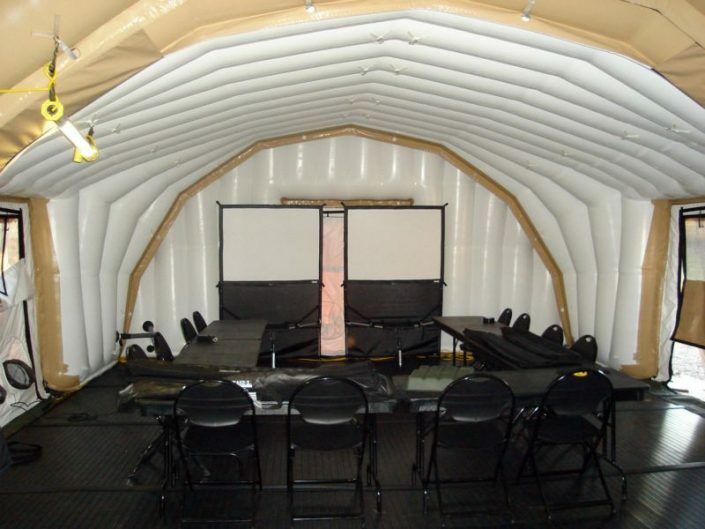 No guy wires are required, so the shelters can be deployed on unprepared ground, even sand. 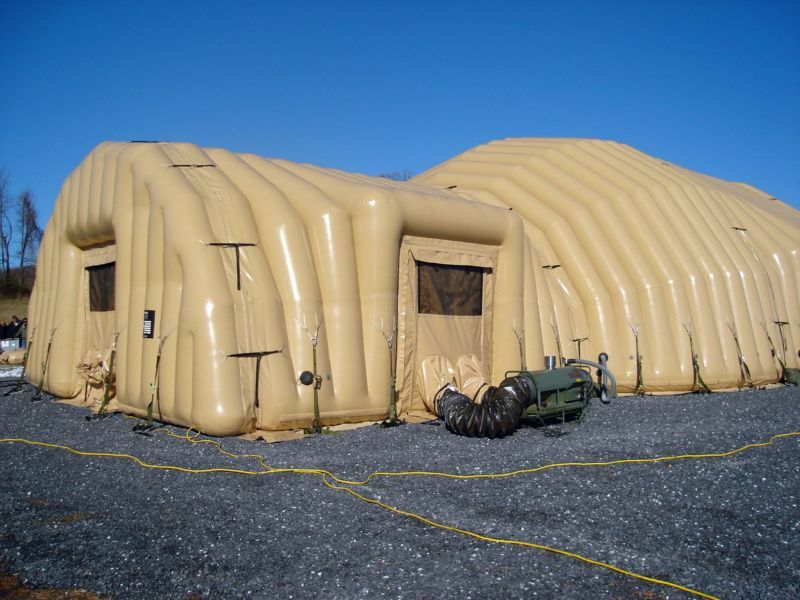 The supporting air inflation system constantly monitors pressure and supplies air on demand. 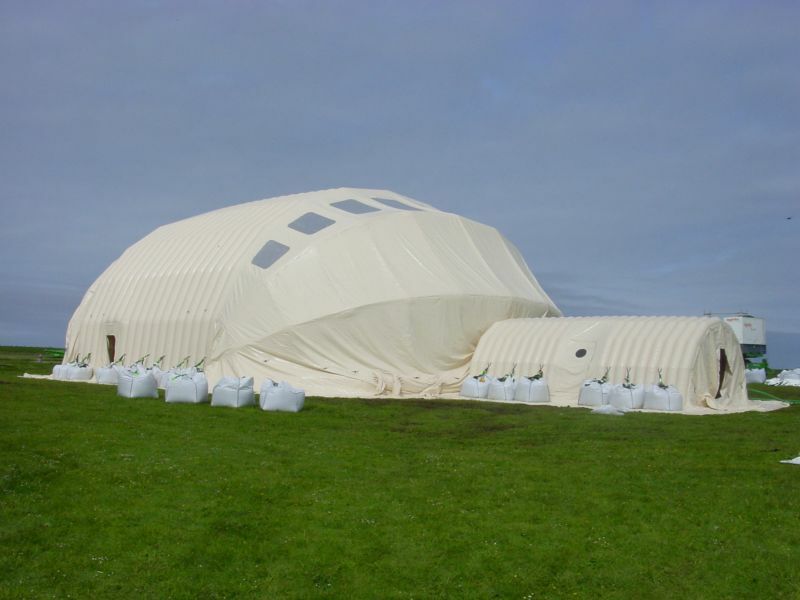 They can be mains or generator powered.